Jode Designs: Celebrity Style.. Ginnifer Goodwin's Apartment.. 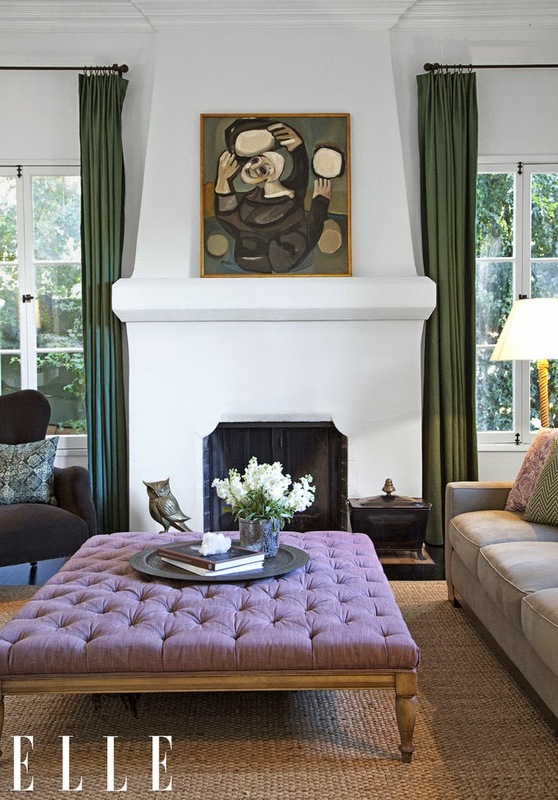 When I came across this feature of Ginnifer Goodwin's 2-bedroom home in LA, and found out that it was once owned by Charlie Chaplin, I just knew it would have a great story to tell.. I fell in love with Ginnifer Goodwin when she played the first wife of Johnny Cash in the movie 'Walk the line'.. She has such a sweet and charming personality and definitely portrays an antique vintage style.. And like her personality her apartment is surrounded by beautiful little treasures and one off antique pieces.. Enjoy.. 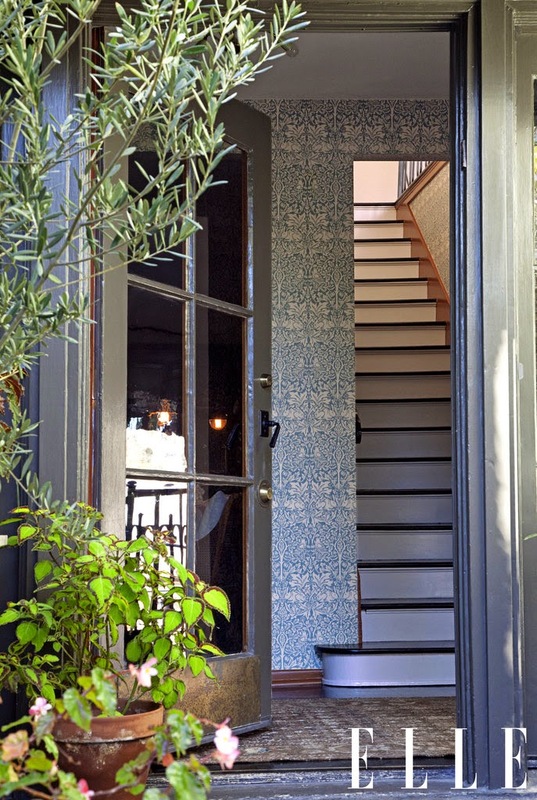 The entrance way wallpaper is 150 years old.. What great stories it could tell.. The old pictures of famous women fill this room with sophistication and those chairs are divine!! 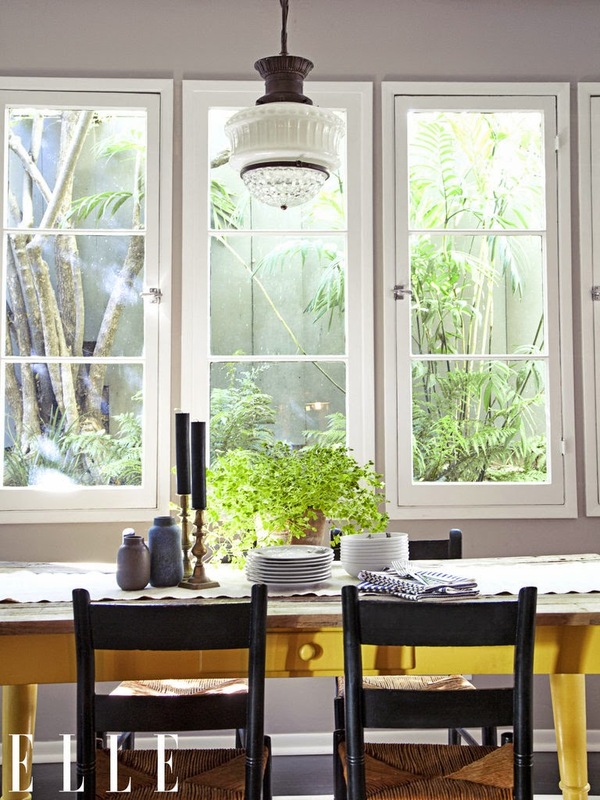 A yellow dining table.. Need I say more.. I love a coffee table which can also be used as an ottoman.. It gives a room a relaxed feel.. 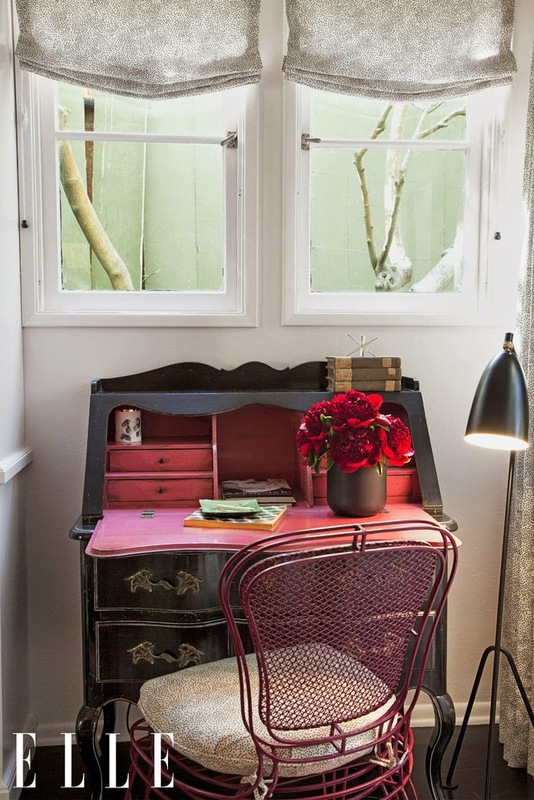 I would definitely write my life away at this gorgeous black writing desk..
To read more about Ginnifer Goodwin and her gorgeous apartment click on the link here.